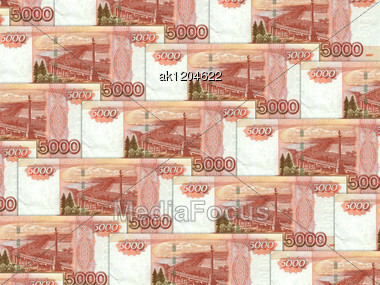 Royalty-Free Stock Photo: Abstract Background Of Money Pile 5000 Russian Rouble Bills For Your Design. Studio Photography. Attention - It Is Not A Seamless Pattern.